Research Topics: Water functionality, aquaphotomics, NIR spectroscopy, ultra-weak photon emission (UPE), agriculture, human health. At ViaLight Research she was head of research and assisted management with their new ventures. Together with her team she investigated water functionality. The main research targets were to develop a (multispectral) sensor to distinguish agricultural produce grown with waters before and after going through a ‘water vitalizing’ device, to distinguish the respective waters by their function, and to understand the mechanism behind the observed effects. Tests were performed, and observations and measurements were done, in agricultural field and in laboratory on seeds, vegetables, leaves, soil and roots. Instruments used ranged from ultraviolet, visual, and near-infrared spectrometers, Raman to ultra-weak photon spontaneous emission and delayed luminescence measurement devices. The most recent results were obtained with a self-developed measurement protocol using aquaphotomics approach with near-infrared spectroscopy. This approach was successful in reproducibly distinguishing water before and after going through a ‘water vitalizing’ device, and the results provided information about water structural differences. Her dream is to know, feel, and be able to determine, which water to use, or how to ‘treat’ water (in any case with gratitude and respect :-)), at what time, for what person or agricultural purpose, to support living life in a natural, harmonic, and connected way. Her vision is to develop aquaphotomics further to understand water functionality on a fundamental level, bring this knowledge to the public and build applications that are relevant for consumer and industry. In 2012 she contacted prof. Tsenkova to learn more about aquaphotomics and since then they have been collaborating. At ViaLight Research aquaphotomics was used to investigate quality of vegetables in greenhouse and laboratory setting, as well as to distinguish water before going through a water vitalization device from water after going through the device. 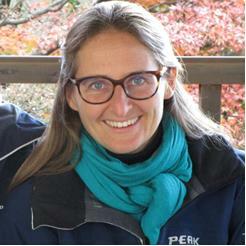 In 2016 she started to work on developing a business case for aquaphotomics applications and research and she is setting up an Aquaphotomics Society together with prof. Tsenkova and other aquaphotomics colleagues to bring together scientists from multiple disciplines to further advance the field.